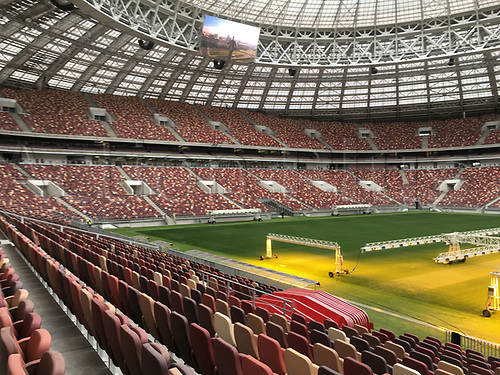 28th August 2017, Moscow, Russia; A view of the inside of the Luzhniki Stadium in Moscow, Russia. The Luzhniki is the most important stadium of the football World Cup 2018 in Russia. Since 2013 it has been renovated extensively.